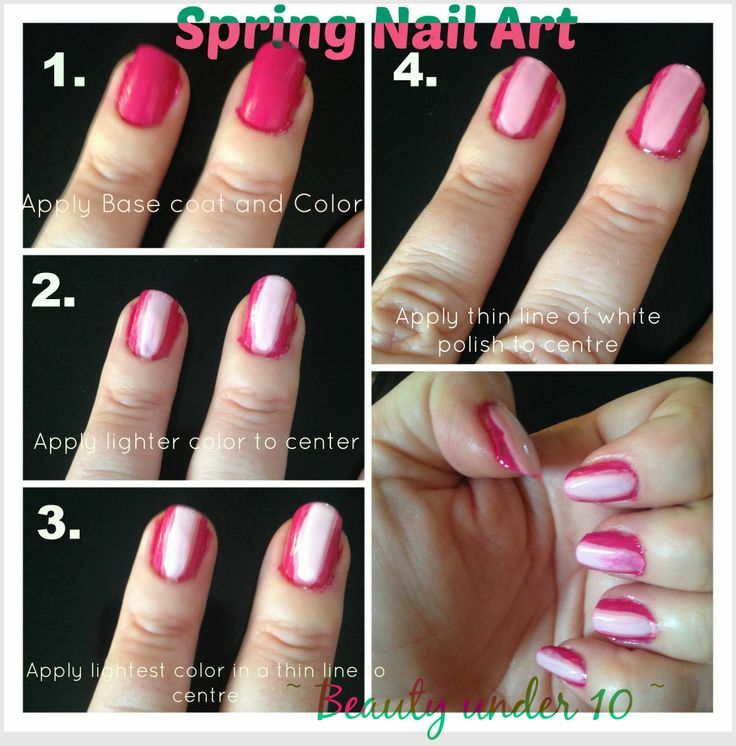 Beauty Under 10 | Beauty should only take 10 minutes Spring Pink Nails - no tools!! Spring Pink Nails - no tools!! When I saw this style I had to try it. It was very easy to do! I think it is a great spring look for nails. You can use any colors you would like as long as they are 3 shades lighter than one another. If you have a thin nail brush or nail striper you can use those. I used the thin side of the polish brush. There are only 5 easy steps!